Guest post by Melissa Clouthier of MelissaBlogs.com. @MelissaTweets on Twitter. The numbers don’t look good for Obamacare. Scratch that. The numbers look horrible. Not only that, but Obamacare is going to have fewer doctors just as our population is aging and thousands who don’t need insurance but are being forced buy insurance are going to be dumped into the system. Does this look like what President Obama promised regarding Obamacare? Here’s a couple broken promises via National Review Online. So, Senator Ted Cruz is trying to stop this madness. What maddness? A health system that increases costs, decreases coverage, where there are less doctors and less access to the doctors because more people will seek them. Obamacare is a disaster. 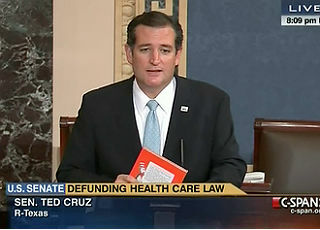 Oh, and Ted Cruz’s filibuster is giving the GOP room to negotiate. Imagine that.